At the recent Base Birmingham Conference, Scott Cain of the UK Technology Strategy Board (TSB) explained some of the reasons why Glasgow was awarded the TSB’s £24m Future Cities Demonstrator project this year. Among them all, including the arrival of the Commonwealth Games in 2014 and the strength of the proposed delivery partnership, one stood out for me: the challenge of addressing the difference in life expectancy of 28 years between the wealthiest and poorest areas of the city. That’s a deeply serious problem, and it’s inarguably worth supporting the city’s attempts to tackle it. Glasgow’s demonstrator project includes a variety of proposals to tackle life expectancy and other issues correlated with it – such as fuel poverty, public safety and health – using technology- and information-enabled approaches. But whilst Glasgow has the widest variation in life expectancy in the UK, it is far from alone in having a significant one. 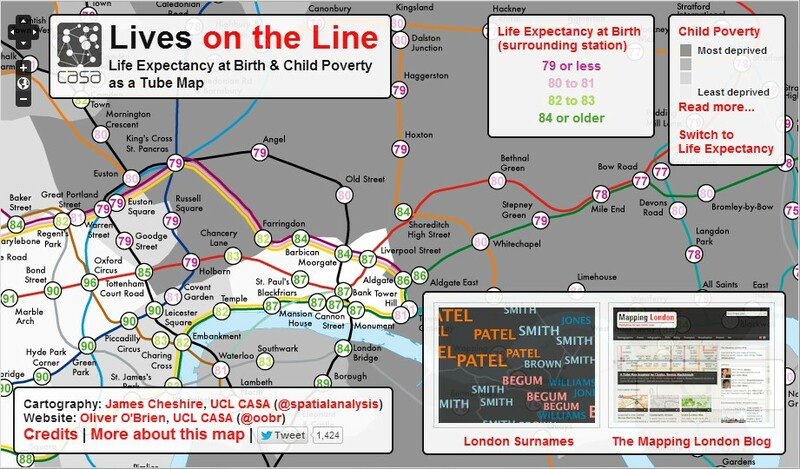 The variation in life expectancy in London is about 20 years, and has been mapped against its tube network. Life expectancy in Birmingham ranges from 75 to 84 and has similarly been mapped against the local rail network; and in Plymouth it varies by 12.6 years across the city. Life expectancy in many cities varies by as much as 10 years, and is widely viewed as an unacceptable inequality between the opportunities for life offered to children born in different places. Glasgow, Plymouth, London and Birmingham are just a few examples of cities with active strategies to address this inequality; but all of them are crafting and executing those strategies in an incredibly tough environment. Many nations in the developed world are facing times of budget cuts and austerity as they tackle high levels of public, commercial and domestic debt built up in the decades leading to the 2008 financial crisis. At the same time, growth in the population, economies and middle classes of the emerging world are creating new wealth, and new demand for resources, across the world. So the cities of the developed world are seeking to rebalance inequalities in their own communities at a time when the resources available to them to do so are shrinking as a consequence of a rebalancing of inequalities that is, to an extent, taking place on a global scale (and quite rightly). 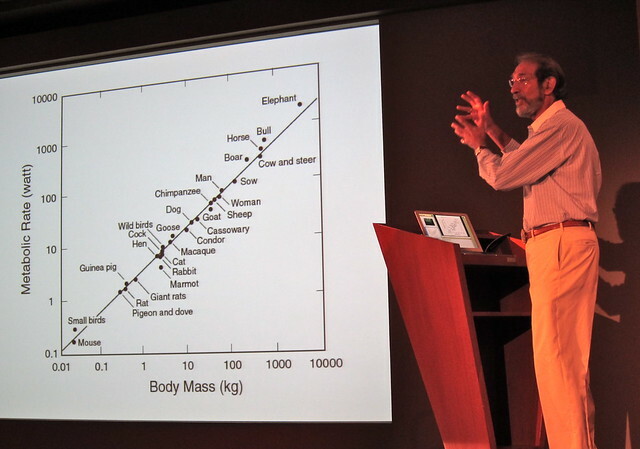 The physicist Geoffrey West has analysed in detail the performance of city systems, and one interpretation of his work is that it demonstrates that this challenge is inevitable. He showed that larger cities create more wealth, more efficiently, than smaller cities. In doing so, they attract residents, grow bigger still, and accelerate wealth creation further. This self-reinforcing process results in an ever-increasing demand for resources. It powered the growth of cities in the developed world through the Industrial Revolution; and it is powering the growth of cities in emerging markets today. In an interview with the New York Times, West described two possible ends to this process: a catastrophe caused by a failure in the supply of resources; or an intervention to alter the relationship between value creation and resource consumption. Many would argue that we are already experiencing failures in supply – for example, the frightening effects of recent grain shortages caused by droughts that are probably attributable to climate change; or predictions that the UK will face regular blackouts by about 2015 due to a shortfall in power generation. At the heart of the Smarter Cities movement is the belief that the use of engineering and IT technologies, including social media and information marketplaces, can create more efficient and resilient city systems. Might that idea offer a way to address the challenges of supporting wealth creation in cities at a sustainable rate of resource usage; and of providing city services to enable wellbeing, social mobility and economic growth at a reduced level of cost? Many examples demonstrate that – in principle – Smarter Cities concepts can do that. Analytics technologies have been used to speed up convergence and innovation across sectors in city economies; individuals, communities and utility providers have engaged in the collective, sustainable use of energy and water resources, as has happened in Dubuque; local trading and currency systems are being used to encourage the growth of economic activity with local social and environmental benefits; information technology enables more efficient transportation systems such as California’s Smarter Traveller scheme or the local transport marketplaces created by Shutl and Carbon Voyage; and business-to-business and business-to-consumer marketplaces such as Big Barn and Sustaination are supporting local food initiatives. But there are two problems with broadly applying these approaches to improve cities everywhere. Firstly, they do not always translate in a straightforward way from one place and system to another. 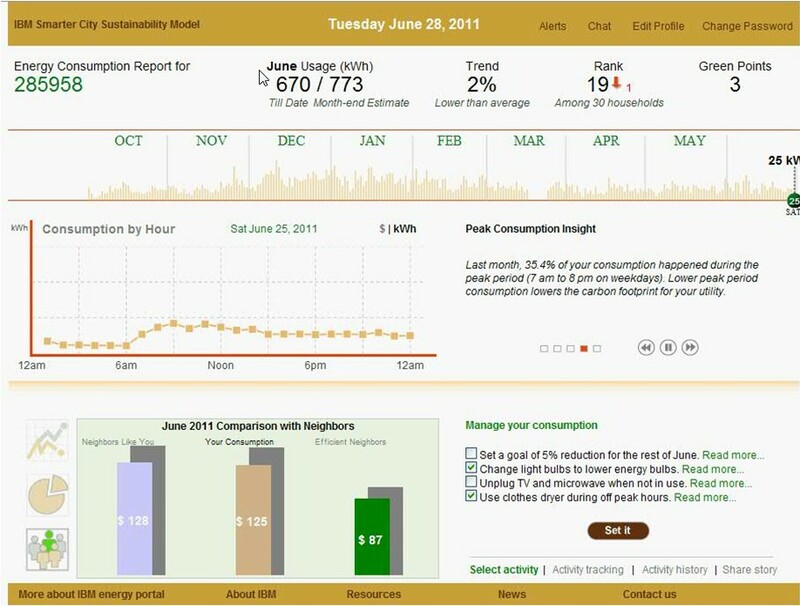 For example, a neighbourhood in Dubuque achieved an overall reduction in water and energy usage when each household was given information comparing their own resource consumption to an anonymised average for those around them. Households with higher-than-average resource use were motivated to become better neighbours. These are good examples of “Smarter City” initiatives that are enabled by technology; but that are more importantly dependent on changes in the behaviour of individuals and communities. The reasons that those changes take place cannot always be copied from one context to another. They are a crucial part of a design process that should be carried out within individual communities in order to co-create useful solutions for them. Rather than removing the need to travel and transport things, these technologies can dramatically increase our requirements to do so. For example, since I began writing this blog about 18 months ago, I have added several hundred connections to my social media network. That’s hundreds of new people who I now know it’s worth my while to travel to meet in person. And sure enough, as my network has grown in social media, so have the demands of my traveling schedule. Similarly, e-Bay CEO John Donahoe recently described the environmental benefits created by the online second-hand marketplace extending the life of over $100 billion of goods since it began, representing a significant reduction in the impact of manufacturing and disposing of goods. But such benefits of online marketplaces are offset by the carbon impact of the need to transport goods between the buyers and sellers who use them; and by the social and economic impact in cities that are too often dominated by road traffic rather than human life. 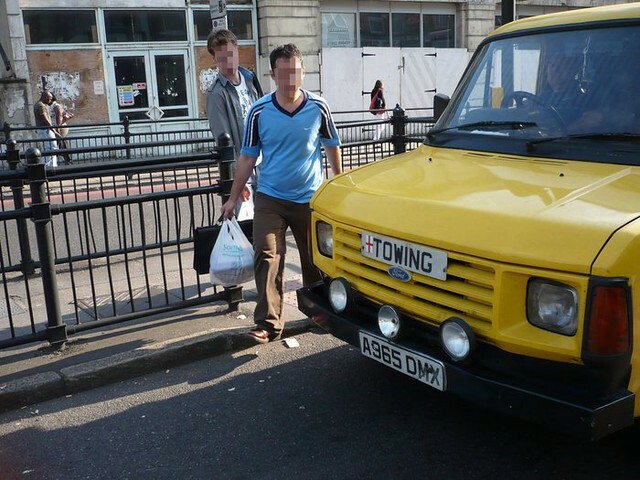 Increasing the demand for transport in cities could be very damaging. Some urbanists such as the architect and town planner Tim Stonor and Enrique Peñalosa, former mayor of Bogotá, assert that the single biggest cause of poorly functioning city environments today is the technology around which most of them have been built for the last century: the automobile. And whilst recent trends have started to address those challenges – “human scale” approaches to town planning and architecture; the cycling and walkability movements; and, in some cases, improvements in public transport – most cities still have congested transport systems that make cities more dangerous and unpleasant than we would like. We are opening Pandora’s box. These tremendously powerful technologies could indeed create more efficient, resilient city systems. But unless they are applied with real care, they could exacerbate our challenges. If they act simply to speed up transactions and the consumption of resources in city systems, then they will add to the damage that has already been done to urban environments, and that is one of the causes of the social inequality and differences in life expectancy that cities are seeking to address. My home city Birmingham has many of the economic capabilities required to exploit those imminent changes successfully. It has a manufacturing base that includes advanced digital capability; it has a growing technology industry and a strong creative sector. Professional services companies offer financial and legal support, and local Universities have world-class research capability in disciplines such as healthcare and medical technology. But as in many cities, those capabilities are concentrated in separate areas of the city. 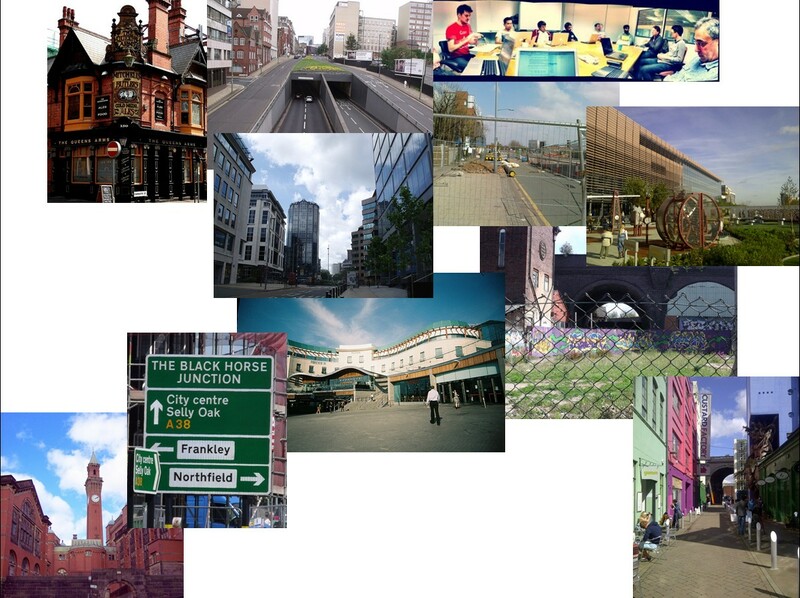 The collage of photographs below depicts some of Birmingham’s value-creating districts, placed in relation to some of the spatial characteristics of the city that divide them. (A collage of photographs of some of Birmingham’s value-creating districts, placed in relation to some of the spatial characteristics of the city that divide them. See the end of this article for attributions). In the top left of the collage, the Jewellery Quarter, a centre of advanced manufacturing to the North of the City Centre, is separated from the digital technology incubation capability of Innovation Birmingham on the Aston University Campus, and from financial and legal expertise in the Colmore Row business district, by the four-lane Great Charles Street Queensway, part of the city-centre ringroad. The Aston Campus is separated from the Eastside learning quarter, home to Millennium Point and Birmingham City University, by the Jennens Road dual carriageway. Eastside itself is separated from the creative media cluster around the Custard Factory and Fazeley Studios in Digbeth in the South East by the East Coast mainline from Birmingham to London; and by the semi-dereliction of some parts of the Digbeth manufacturing district. To the South West, the enormous medical research capability around the University Hospital of Birmingham and University of Birmingham and it’s Research Park are three miles from the City Centre. And whilst the retail core of the city was dramatically transformed by the Bullring redevelopment over a decade ago, it lacks the independent shops, cafe and culture that might naturally attract those who work in the surrounding creative districts to congregate together. The city’s Big City Plan and independent initiatives such as Coffee Birmingham are doing much to address these issues – and in particular, the city centre now boasts a number of fine cafes and delicatessens such as the Urban Coffee Company and York’s Bakery Cafe. But nevertheless these examples illustrate challenges many cities face in adapting their spatial structure to the needs of the new economy to bring their collective capabilities together to create new ideas and innovations. I took my family to Birmingham’s new Eastside City Park recently; the park is intended to address some of the challenges I have just described by better connecting the learning quarter to the city centre and train stations by providing a walking and cycling route between them, as well as an open space with value in its own right. By coincidence, I had just read the chapter in Jane Jacobs’ seminal “Death and Life of Great American Cities” which addresses the factors which determine whether city parks and spaces work or fail; and describes how difficult it can be to make them successful. I was therefore delighted to see the Eastside park full of people – families with children playing; couples relaxing in the sun; students and workers stopping for food and coffee. This vibrancy, created by the proximity of mixed business, learning and leisure facilities, did not happen by accident. It is a product both of the careful design of the park; and of the context of the park’s creation within a multi-decade strategy for regenerating the surrounding district, which incorporates the expansion and re-location of two colleges and two universities in the area. 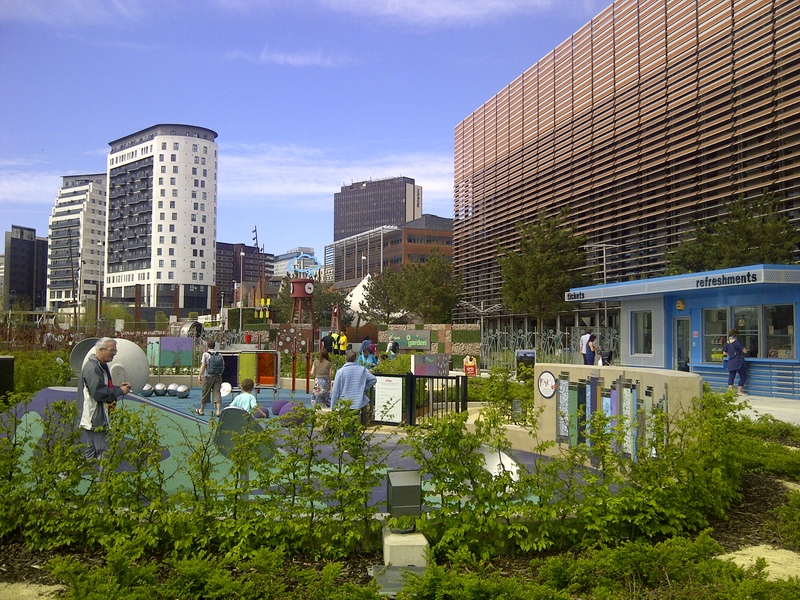 Birmingham’s Eastside park – like Bradford’s new City Park, winner of the Academy of Urbanism’s “Great Place 2013″ award – is a great example of reclaiming for people an important area that had previously been shaped by the requirements of cars, trucks and lorries. But as a new generation of technology, digital technology, starts to shape our cities, how can we direct the deployment of that technology to be sympathetic to the needs of people and communities, rather than hostile to them, as too much of our urban transport infrastructure has been? This is an urgent and vital issue. For example, privacy and security are perhaps the greatest current challenges of the digital age – as epitomised by the challenge issued to Google this week by United States politicians concerning the privacy implications of their latest innovation, “Google Glass”. But these concerns are not limited to the online world. 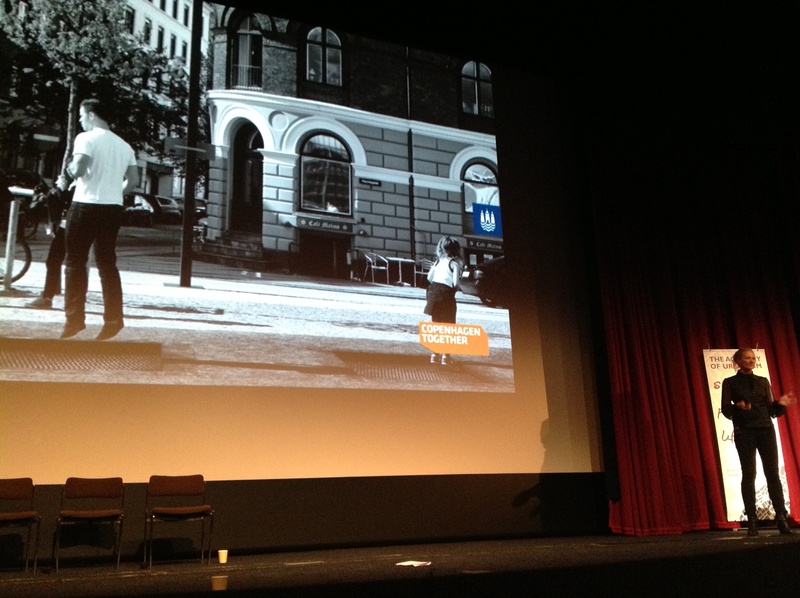 Jane Jacobs based her understanding of city systems on privacy and safety. Google Glass epitomises the way that innovations in consumer technology are changing the relationship between physical and digital environments; with the consequence that a failure in privacy or security digital systems could affect community vitality or public safety in cities. A particularly stark example is the 3D-printed gun, which I first mentioned last August. A reliable process for producing these is now being disseminated by the pro-firearms movement in the United States. As half a century of widespread sharing of music demonstrates, we cannot rely on Digital Rights Management technology for gun control. Other developments that I think need a similar level of consideration are the ability to create artificial meat in laboratories, which has been suggested as one way to feed a growing world population; and the increasing ability of information systems to interact directly with our own minds and bodies. To my mind these technologies challenge our fundamental assumptions about what it means to be human, and our relationship with nature. So how are we to resolve the dilemma that emerging technologies offer both the best chance to address our challenges and great potential to exacerbate them? The first step is for us to collectively recognise what is at stake: the safety and resilience of our communities; and the nature of our relationship with the environment. Digital technology is not just supporting our world, it is beginning to transform it. The second step is for the designers of cities and city services – architects, town planners, transport officers, community groups and social innovators – to take control of the technology agenda in their cities and communities, rather than allow technologists to define it by default. My role as a technologist is to create visions for what is possible; and to communicate those visions clearly to stakeholders in cities. In doing so it is important to communicate the whole story – the risks and uncertainties inherent in it, not just the great gadgets that make it possible. If I do that, I’m enabling the potential consumers of technology to make informed choices – for example, choosing whether or not to use certain online services or digital devices based on an understanding of their approaches to the use of personal information. The truth, though, is that we are in the very earliest stages of considering these technologies in that way in the overall design, planning and governance of cities. A huge number of the initiatives that are currently exploring their use are individual projects focussed on their own goals; they are not city-wide strategic initiatives. And whilst some are led by city authorities, many more are community initiatives, such as the Social Media Surgeries which began in Birmingham but which now run internationally; or are led by business – technology corporations like IBM and Google, the developers of buildings such as the Greenhouse in Leeds, or small start-ups like Shutl. In contrast, it is the role of policy-makers, town planners, and architects to understand how technology can help cities achieve their overall objectives such as economic growth, improvements in social mobility and reductions in the disparity in life expectancy. It is also their role to put in place any necessary constraints and governance to manage the impact of those technologies – for example, policies that oblige the developers of new buildings to make data from those buildings openly available as part of an overall “open data” strategy for a city. As well as technologists, three crucial groups of advisers to that process are social scientists, design thinkers and placemakers. They have the creativity and insight to understand how digital technologies can meet the needs of people and communities in a way that contributes to the creation of great places, and great cities – places like the Eastside city park that are full of life. Without this perspective, I don’t personally believe that we’ll create the great digital places that we need. That’s why I spent last week exploring this topic with placemakers, town planners and policy-makers in a “digital urbanism” workshop at the Academy of Urbanism Congress; and it’s why I’ll be exploring it in June with social scientists and researchers of city systems at the University of Durham. I’ll be writing again soon on this blog about what I’m learning from those meetings. Not everything promised by technology will transpire or succeed, and it is often right to be sceptical of individual ideas until they’re proven. But there should be no question of the magnitude and impact of the changes that technology will create in the near future. And it’s down to us to take charge of those changes for our benefit as individuals and communities.